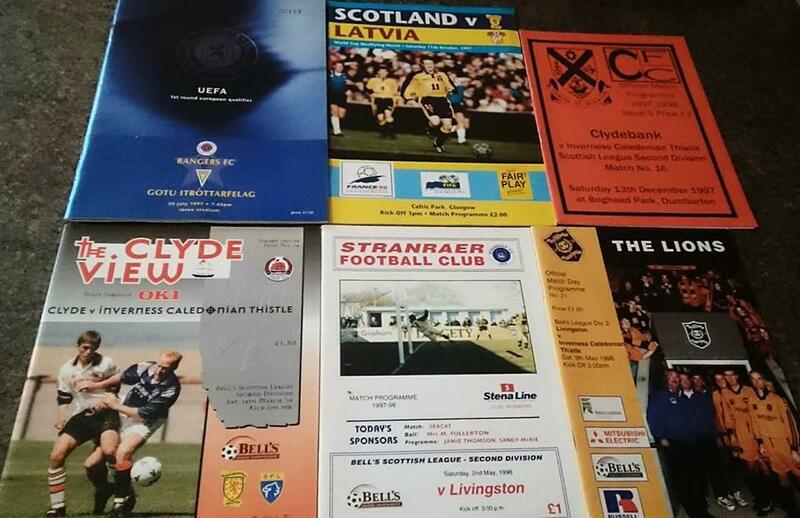 After the first three seasons, enjoy another stroll down memory lane with Caley Jags and world football fan James Rendall. He's a well travelled football connoisseur who has been following the Caley Jags from the start. He has put together a fascinating nostalgic review of Inverness Caledonian Thistle's first 25 years as witnessed through his own eyes. Thanks James, a remarkable commitment to the beautiful game. Following the joy of the club's first promotion as Champions from the fourth tier the season before the step up in quality, it took a little time to filter into our play. An August 0-1 home loss to East Fife was turned into a 5-1 away win by the end of October in Methil which signalled the changing of the guard. 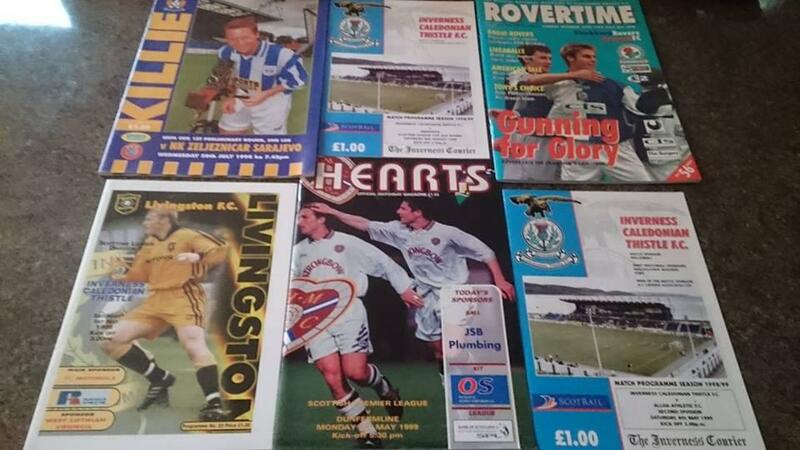 A veritable pot pourri of great servants for ICT scored that day: Paul Sheerin, Duncan Shearer, Mike Teasdale, Paul Cherry and a young Martin Bavidge, still knocking them in for Peterhead! The slow start meant a promotion push was not on, but we did play a magnificent role in deciding who went up! On the penultimate round of league fixtures, I saw a scenario that could alter the shake up at the top. 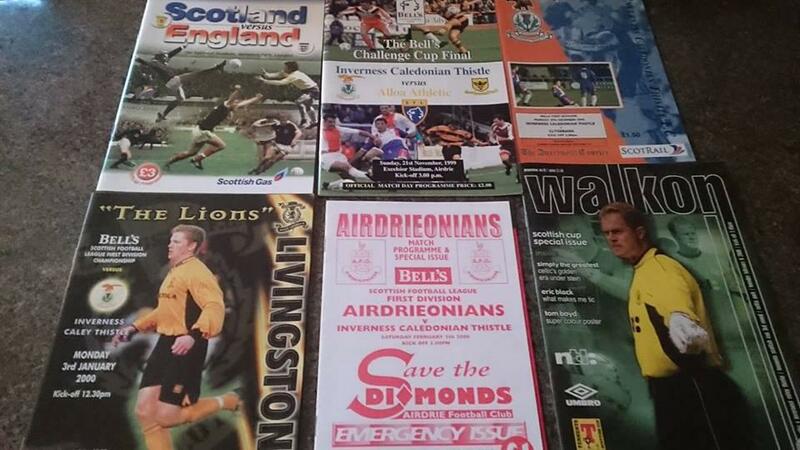 Livingston, essentially my old club with a new name written in crayon over the beauty of a badge that once said Meadowbank Thistle, were top but Stranraer as well as Clydebank were close. I headed down to Stair Park in the hope Stranraer would beat them, and how they did, 2-0. That meant, ICT's last game of the season at Livingston just became huge! I would not have unduly expected people from the north to have any grudge about Livingston, but what happened that day was almost as if I had written to the club and pleaded for them to play as they did 😊. Paul Sheerin and our wee dynamo Ian Stewart scored in a 2-1, with Stranraer and Clydebank (enjoying their last moment of joy) winning, a combination of events that saw Livi plop from first to third 😂. And the Caley Thistle players partied as if we'd gone up! I could not have been more joyful. Needless to say at the other end of the stadium rage was building. A rivalry was set, and they would get a sort of revenge the next season! The cups are always special for an Inverness fan, and a signal of future intent was visible with a penalty kick win after a 2-2 draw at Motherwell in August in the the League Cup, our first ever visit as an opponent to a Premier League side! In the Scottish Cup we raked up our club record win, an 8-1 win over then non League Annan Athletic, memorable latterly for Steve Patterson fining our Norwegian left back Vetle Anderssen for being disrespectful to our opponents by juggling the ball between his feet as he nudged down the left wing!! The money probably went into Steve's gambling or drinking 🍻 fund. We hadn't quite worked out at this stage what problems our attack minded boss was having. His autobiography is one of the most warts and all reads of all time! "First floor perfumery, stationery and leather goods, going up" 😊. 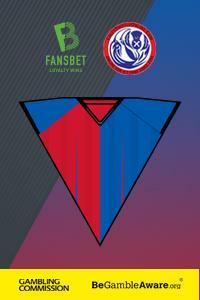 In the fifth season of our existence a second promotion, but it would be the one Championship flag that eluded us! Alas I have no desire to step down to League One as it is now to put that record straight! Inverness and Livingston ran away from the rest, and by the penultimate game it was merely a question of who would win the title. This was Livingston's revenge for our part in preventing them going up the season before! Astonishingly they led 4-0 after not much more than 20 minutes! However with still a good thirty minutes to go it was 4-3. We threw everything at the Livi goal but it just wouldn't go in. I was tempted to stay away from the A9 the following week, but I always recall Martin imploring me to go, as if we could score, we would be the first team since the twenties to score in every league game! Alloa were the visitors with the irascible Terry Christie in the dug out. He sent his team out with one ambition, to stop us scoring, and our sole counter in a 1-1 draw came merely two minutes from the end. It was a proud achievement, but losing out to Livi meant it felt like a second prize, but no matter, we were heading to the second tier! In an odd and rare season where I didn't see a game abroad, a fledgling Bosnian league provided Zeljeznicar as Euro opponents for Kilmarnock in Europe so we crossed the Eaglesham Moor to watch, with Killie narrowly coming out on top. A small band of us always went to a top flight match in England in October for a few seasons, and Blackburn v Arsenal was this year's diet, with a narrow Gooner win. By the season's end Hearts found themselves down at the wrong end of the top flight and had they lost to Dunfermline on an early May Monday night it might have brought ICT to Tynecastle a lot sooner, but a 2-0 win eased nerves and kept them in the Premier League. The decline of our National team was noticeable, losing 1-2 at home to the Czech's but I guess in that fixture we played an attacker 😂. The following season the name Inverness Caledonian Thistle would become known throughout the world 🌍 😊. Putting the city on the global map! Before a ball was kicked of the 99/00 season, an inaugural 'football free' trek to South America changed my world forever! Not so much the incredible beauty of Perü and Bolivia, or the winter chill of Santiago but a few days in Mendoza, where the atmosphere and the spirit of the Argentines just got me. Within nine months I would be back again, more later! The initial bedding into Scotland's second tier didn't go well for ICT, soundly beaten 4-0 at Dunfermline in our opener and then a narrow home loss to Falkirk. An innocent loss standing on its own, but remarkably Falkirk would beat us in August for the next five years!! This was merely the first chaotic last minute smash and grabs they would instigated in Inverness in that series! It took us until game five of the season to register a win, at home to Clydebank, a club that would play an inadvertent part in a moment of history never to be repeated, more later! That first win steadied the ship and while were never going to be promotion material, we settled into the lower mid table and just became a nuisance ☺. The season low was a Friday night fixture at Morton, thumped 5-1, a club record loss at the time, the night before Scotland hosted England in a Euro Play off, where that old adage of glorious failure became once again appropriate after we lost 0-2 at Hampden, but won at Wembley and nearly pushed it to extra-time. The following weekend we played in our first ever Cup final, The Challenge Cup Final at Airdrie v the mighty Alloa Athletic. It may well rank as the best Cup Final ever, a 4-4 draw, where we just couldn't swat those pesky Wasps away, and the final sting saw them come out on top 5-4 in the penalty shoot out! The very last game of 1999 in Scotland to finish was a 27th December home fixture against Clydebank, where Barry Wilson scored the last goal in a 4-1. Post Millennial skip, for some reason the first game in Scotland on the 2nd January included us at Inverness at Livingston, and who scored the first goal in a 1-1? Barry of course, Mr Millennium!! No one will ever achieve that wee claim again! February was the month of months, and yet as we sat in a shabby part of Glasgow stuck in a traffic jam, hearing our Saturday Cup fixture at Celtic was off due to the wind ripping part of the stand facing off left us wondering who was the amateur amongst us!! Indeed, twice in six years an abandonment or a cancellation, and both from that fabled top league!! If it had been the other way round, that horrific journey to Inverness, sic, and we would never have heard the last of it. But ten days later we were headed back for the rescheduled game and this time while the stadium stood up to the barrage, the opponents unravelled spectacularly, Inverness beat Celtic 3-1!! When Mark Viduka didn't appear for the second half we had not only got under their skin, they'd imploded!! It was just the most magical night, and thanks to The Sun newspaper we went viral before it was a proper thing!! "Super Caley Go Ballistic, Celtic are atrocious". They were all heroes, but the aforementioned Barry Wilson, Bobby Mann and Paul Sheerin scored as a fire drill broke out at Celtic Park 😂. Having taken an eternity to get there for the cancelled game, we set off sharp and found ourselves with time to kill in the concourse. The Bookies were offering 18/1 in a two horse race! Martin told me I should tap into my firm belief we were going to do it, but not being a betting man I missed an opportunity there, but I am sure a few highlanders landed a big payout! I am unsure if any club in Scotland has a winning record in Scottish Cup matches with Celtic, but we are leading that particular series 3-1 too ☺. Thanks James, that's another great look back at our early years and February 8th 2000 will always be a special day in our history. Look forward to the next three seasons coming along next week.